I picked up a 1965 12' Starcraft semi-vee with trailer and trolling motor the other day. 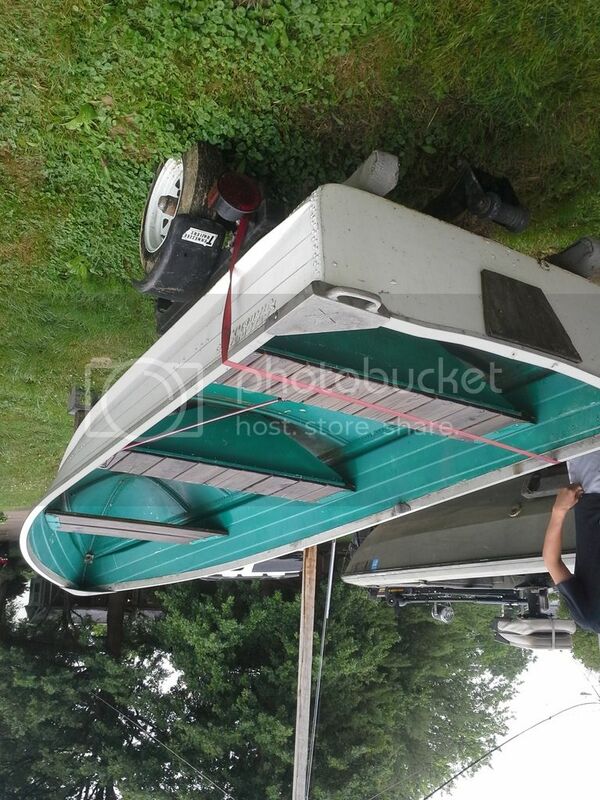 It is in pretty good condition and he added some new wood to the transom. My main need is for me and my son to use it in small ponds/rivers fishing. I was thinking of picking up a small motor, 5HP or so, for the small lakes. Anyone know any info on this thing, motor and weight capacity? I am going to use it with oars for now. Any input will help. My guess is you would be ok up to a 10hp motor. Is that pressure treated wood? Pressure treated wood is not good for an aluminum boat. It could be the Super duty or Sea scamp. How wide is the transom 45" or 50"? Thanks, Time to change some of the wood.